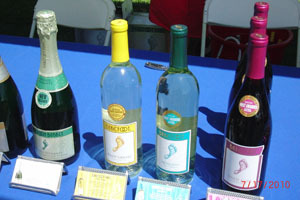 The wine festival by the sea in Santa Barbara was a huge success, and featured unique beverages, oils, food products from a variety of purveyors. 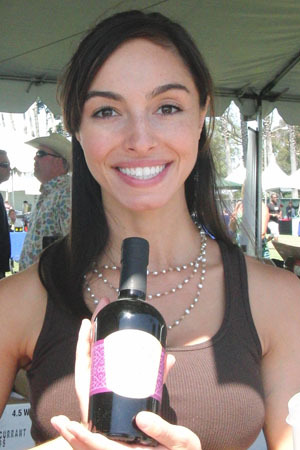 Wineries being represented included some of the best in California and the nation, and the juice of the grape was flowing freely. July 15-17 Visitors were invited to take samples and enter a competition for various goods and trips. Music filled the air to add to the enjoyment, and a line up of musical groups kept the feeling going. 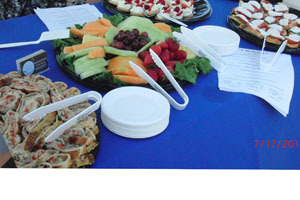 Fresco offered food samples that were delicious. 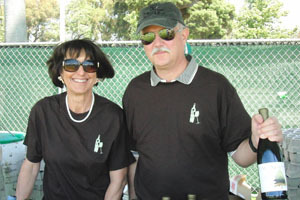 Sipping fine wine by the sea in Santa Barbara. 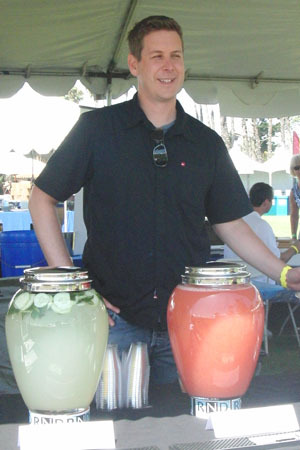 Kick off was at De la Guerra Adobe Courtyard with Tapas and Wine tasting July 15. 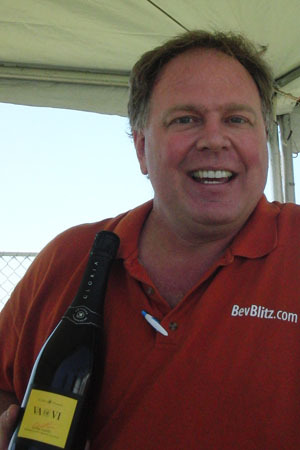 July 16th is the Sunset Rare & Reserve Wine Tasting & Auction, with 500 guests. 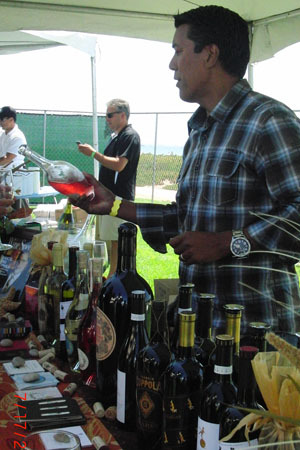 July 17 is sampling of more than 200 of California�s finest wines at the beachside tasting. 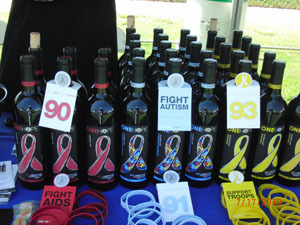 As well as wine related products a bevy of beautiful clothing, jewelry and body products were on sale to visitors. 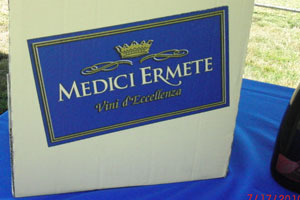 Guests left with bags full of goodies, and a big smile from all the liquid and solid refreshments. 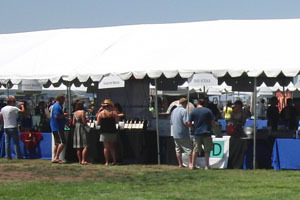 For additional information visit: www.santabarbarawinefestival.com. The Santa Barbara Youth Symphony would love your support! Enjoy a fun summer night with good friends, good wine, and a special performance by Gilles Apap and the Transylvanian Mountain Boys. 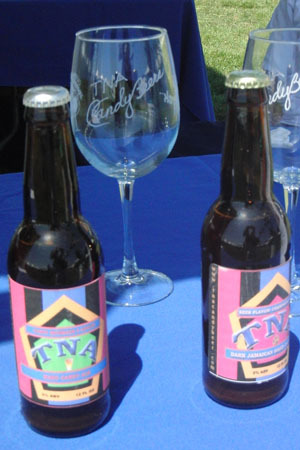 The Gainey Tasting Room will also be open for guests. To RSVP or learn more about this event, click here. 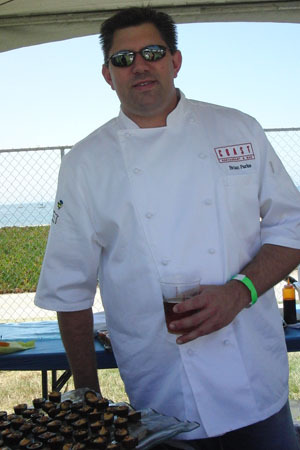 When our team signed on as one of nine winery dinner partners for Sunset�s Savor the Central Coast we were thrilled. When our team joined forces with the wildly talented Chef Bradley Ogden (locally of Root 246 and recipient of the Best Chef Award from the James Beard Foundation) for this intimate evening, we were ecstatic. And now that the special event is close to selling out we are over the moon! With only 3 tickets left, do not wait! 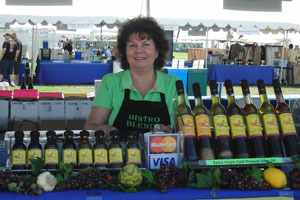 Visit www.savorcentralcoast.com today to purchase your tickets. Don�t miss this rare opportunity to join the Niner Wine Estates team in our first ever Winemaker Dinner hosted within our newly completed Hospitality Center and indulge your senses in the very best the west has to offer.